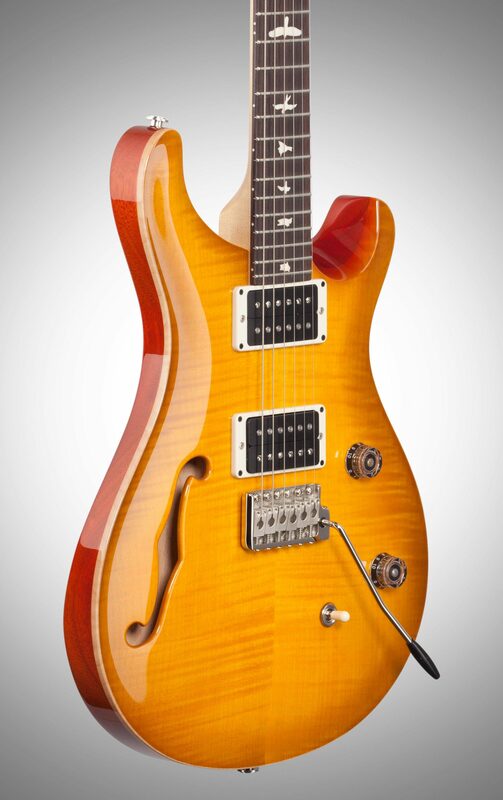 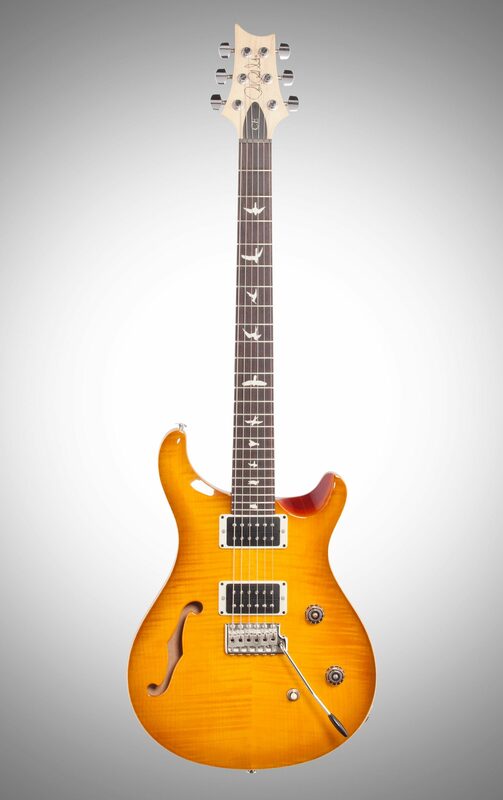 Combining the snap and sustain of a bolt-on guitar with the airy resonance of a semi-hollow body, the PRS Paul Reed Smith 2019 CE 24 Semi-Hollowbody Electric Guitar is a truly unique addition to the PRS Bolt-On lineup. 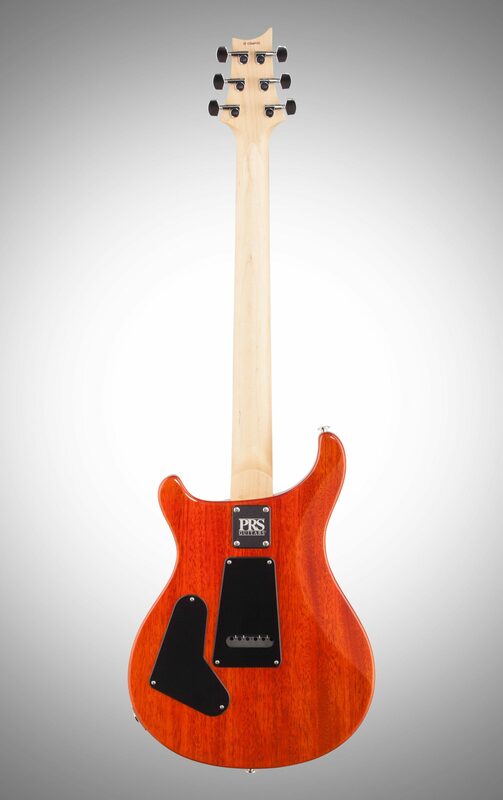 The body pairs the traditional combination of a mahogany back, a maple top, a bolt-on maple neck and rosewood fretboard. 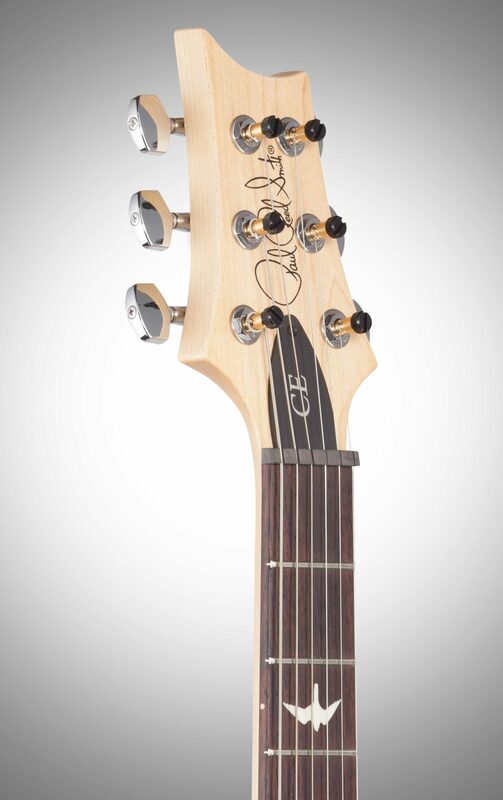 The neck features a Pattern Thin carve and satin nitro finish for a natural, addictive feel. 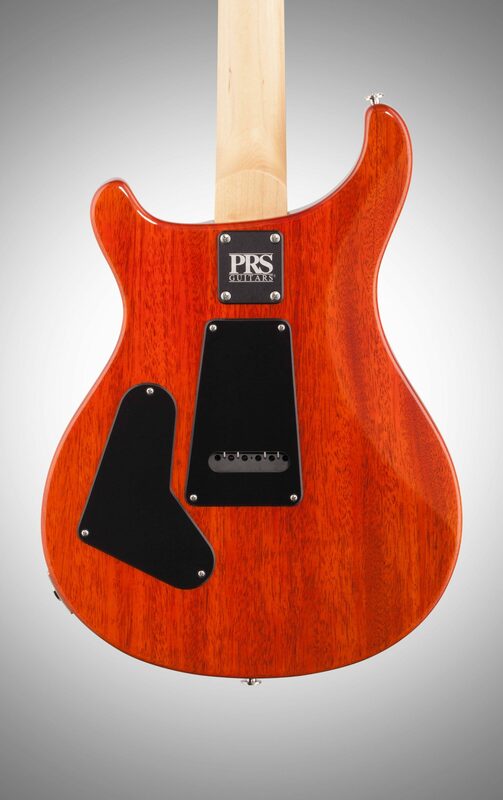 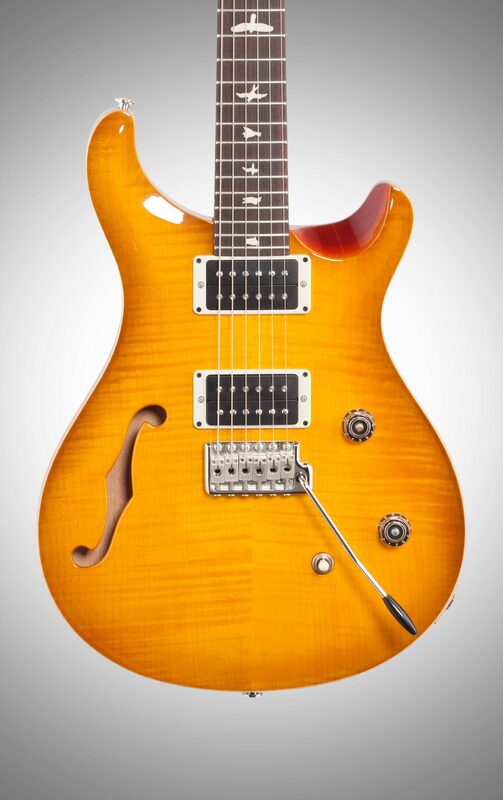 The electronics consist of a volume and push/pull tone control with a 3-way toggle switch, giving a total of six classic sounds from the PRS 85/15 pickups. 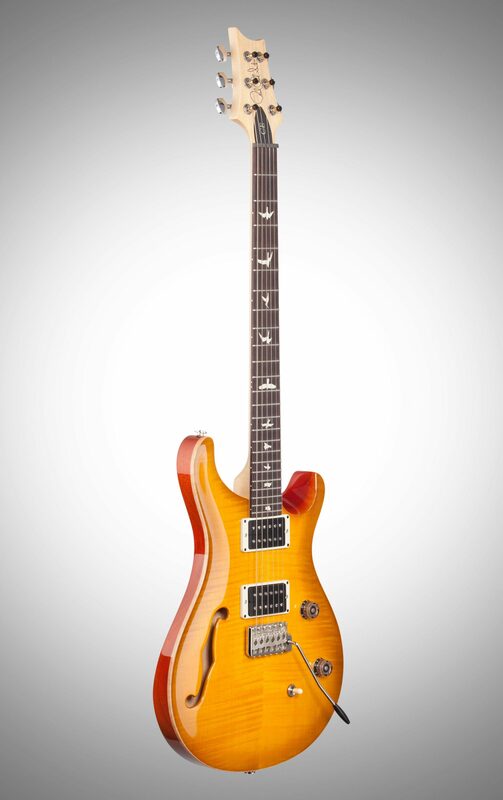 Comes in a premium PRS gig bag. 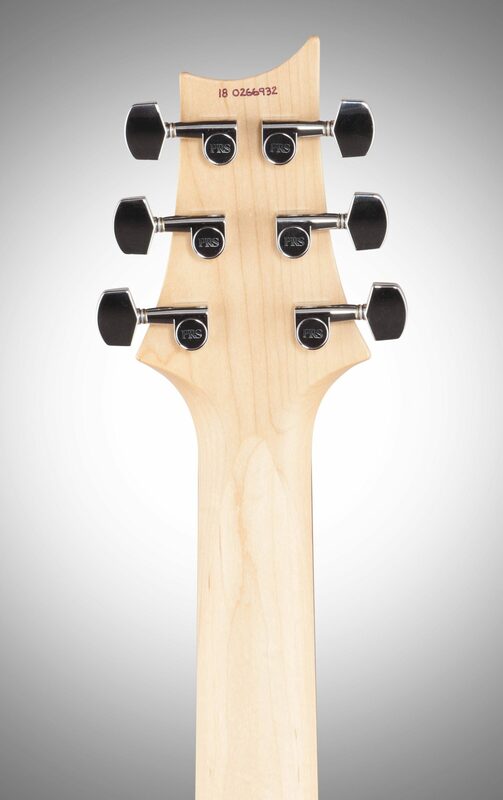 - Neck Depth at The Nut: 26/32"